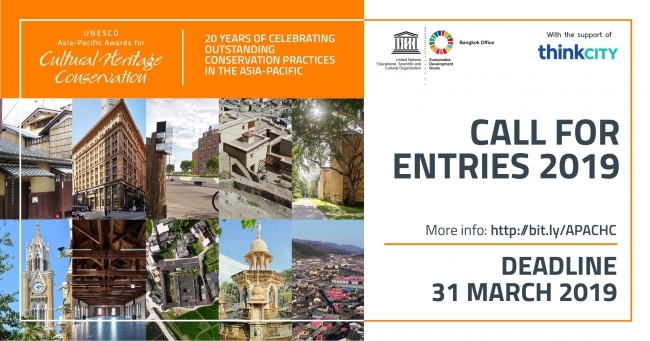 17 December 2018, BANGKOK – Submissions are now being accepted for the 2019 Asia-Pacific Awards for Cultural Heritage Conservation. The deadline for receipt of materials is 31 March 2019. Prev： WHITRAP Suzhou attended The "Intelnational Workshop for Senior Professionals 2018 - Management of Historic Cities and Community Cooperation"